Happy International Volunteer Manager (Leader) Day! While doing some research, I came across this comparison between a manager and a leader and that got me thinking about our jobs. Are we managers or leaders or both? I’ve included the main points of the article below, but you can read it in its entirety if you follow the link above at changingminds.org. What is the difference between management and leadership? The biggest difference between managers and leaders is the way they motivate the people who work or follow them, and this sets the tone for most other aspects of what they do. Many people, by the way, are both. They have management jobs, but they realize that you cannot buy hearts, especially to follow them down a difficult path, and so act as leaders too. By definition, managers have subordinates – unless their title is honorary and given as a mark of seniority, in which case the title is a misnomer and their power over others is other than formal authority. Management style is transactional, in that the manager tells the subordinate what to do, and the subordinate does this not because they are a blind robot, but because they have been promised a reward (at minimum their salary) for doing so. Managers are paid to get things done (they are subordinates too), often within tight constraints of time and money. They thus naturally pass on this work focus to their subordinates. An interesting research finding about managers is that they tend to come from stable home backgrounds and led relatively normal and comfortable lives. This leads them to be relatively risk-averse and they will seek to avoid conflict where possible. In terms of people, they generally like to run a ‘happy ship’. 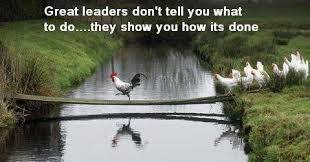 Leaders do not have subordinates – at least not when they are leading. Many organizational leaders do have subordinates, but only because they are also managers. But when they want to lead, they have to give up formal authoritarian control, because to lead is to have followers, and following is always a voluntary activity. Telling people what to do does not inspire them to follow you. You have to appeal to them, showing how following them will lead to their hearts’ desire. Leaders with a stronger charisma find it easier to attract people to their cause. As a part of their persuasion they typically promise transformational benefits, such that their followers will not just receive extrinsic rewards but will somehow become better people. Although many leaders have a charismatic style to some extent, this does not require a loud personality. They are always good with people, and quiet styles that give credit to others (and takes blame on themselves) are very effective at creating the loyalty that great leaders engender. Although leaders are good with people, this does not mean they are friendly with them. In order to keep the mystique of leadership, they often retain a degree of separation and aloofness. This does not mean that leaders do not pay attention to tasks – in fact they are often very achievement-focused. What they do realize, however, is the importance of enthusing others to work towards their vision. 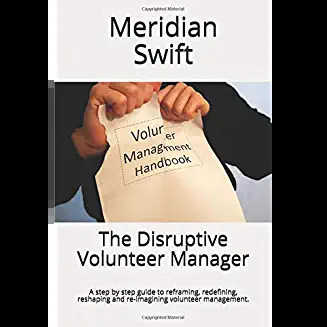 Perhaps we should call ourselves volunteer leaders who manage projects, for truly that is what we do. We lead people, but manage tasks or projects. It is always the people portion of our jobs that reveals our true impact on our programs, although this may not be measurable in traditional ways. How do you measure a volunteer who, because his volunteer leader believes in him, becomes a great volunteer? 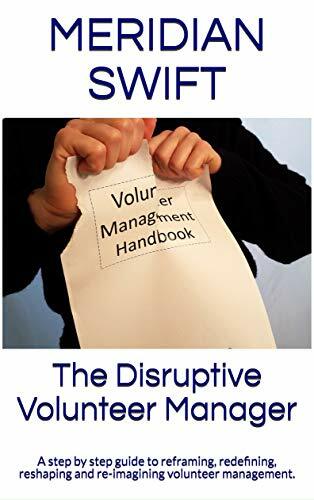 What stat is served when a volunteer manager spends extra time finding the right volunteer for a sensitive assignment? How can figures show the satisfaction volunteers derive from being shown how much they are helping clients? So, for a moment, forget the tasks, forget the stats, forget the pile of unfinished business and think about all the people who have been touched by your vision. Know, in a quiet soul filling way, that the late nights, the exhausting planning of parties, the hours of hearing stories, the endless follow ups, the measured convincing, the tireless advocating, the off hour hospital visits, the struggles to remember birthdays, the constant plans for innovation, the never being away even on trips, and the continuing search for dynamic in services all reflect on the sphere of influence you have created in the world. Know that you make a difference, and although it may not be clear at every moment and to every administrator, it is clear in the universe. Stay the course, continue to lead, for the world needs you. Cheers to you all, leaders of volunteers! Beautifully written and well explained! Thank you! Really good points here. The picture caption says it all!